One blanket with many uses. 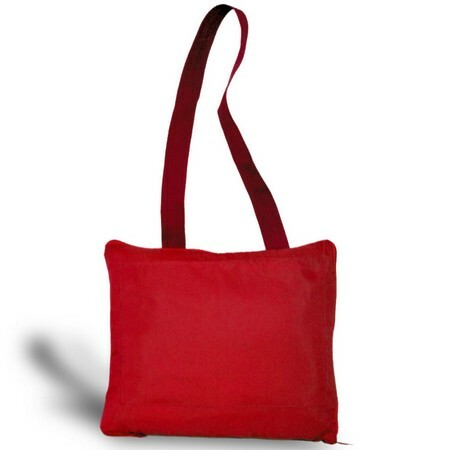 It's a seat cushion, tote bag, travel pillow, or nylon fleece picnic blanket. Constructed with no-pill 100% polyester polar fleece on one side, with water resistant polyester oxford on back. Sewn in carry strap. Trim: Full Zipper/ Color Matched Trim. Colors: Black, Navy, Red, Royal Blue. This blanket in a bag has been perfect for me since my recent back surgery. First of all, I use it for back support in the car, at church, at restaurants, etc. Secondly, another reason I bought this type of product was to take with me on a trip to Paris. It will be useful on the plane trip and I, also, plan to spread out the blanket and use it for a picnic by the Seine. It is serving many purposes for me. I plan to give them as Christmas presents, too. We are using these for our Children's Ministry! When the little ones are eating a snack outside they can sit on something comfy. Bought these as gifts for a team meeting and they were great! 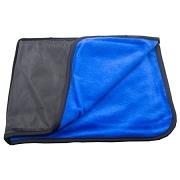 The 4-in-1 Blanket can be customized with your logo! 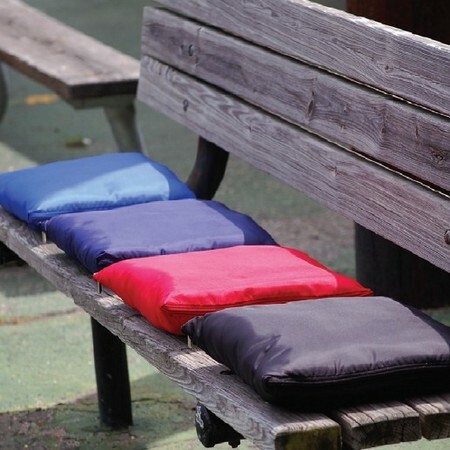 Custom 4-in-1 blankets are perfect items for schools, teams, fundraisers, or corporate gifts. Production Time: 5-7 business days for embroidery, 7-10 business days for other options.